Princeton Porsche is pleased to be currently offering this 2017 Porsche Cayenne Platinum Edition with 44,266mi. Your buying risks are reduced thanks to a CARFAX BuyBack Guarantee. This is a well kept ONE-OWNER Porsche Cayenne Platinum Edition with a full CARFAX history report. This Porsche Cayenne offers all the comforts of a well-optioned sedan with the utility you demand from an SUV. Indulge yourself with one of the most highly crafted, most luxurious automobiles available today. This Porsche Cayenne Platinum Edition comes equipped with all wheel drive, which means no limitations as to how or where you can drive. Different terrains and varying weather conditions will have little effect as to how this vehicle performs. Marked by excellent quality and features with unmistakable refined leather interior that added value and class to the Porsche Cayenne This vehicle comes with a navigation system. That doesn't mean you won't get lost. But it does mean you won't stay lost. The easiest choice in purchasing a new vehicle is choosing one with a complete and detailed history like this gently driven pre-owned vehicle. Looking for a Porsche Cayenne that is in great condition inside and out? Take a look at this beauty. Get more for your money with this well appointed vehicle, including a factory warranty. Treat yourself to a Porsche Cayenne that's got it all. Nearly every option is packed into this beautiful ride. One look at the finish of this Porsche Cayenne and you'll wonder if it ever spent a day outside of the garage. Princeton Porsche has a wide selection of exceptional pre-owned vehicles to choose from, including this 2018 Porsche Macan. Drive home in your new pre-owned vehicle with the knowledge you're fully backed by the CARFAX Buyback Guarantee. With CARFAX one owner report you can be sure that this Porsche Macan was only gently owned. The Macan doesn't disappoint, and comes with all the quality and understated opulence buyers have come to expect from the respected Porsche marque. A truly versatile SUV, this vehicle will please even the most discerning of buyers. This Porsche Macan 's level of quality is not meant for just anyone. It's meant for the person who strives for a classy, comfortable, and luxurious car. This Porsche Macan comes equipped with all wheel drive, which means no limitations as to how or where you can drive. Different terrains and varying weather conditions will have little effect as to how this vehicle performs. Marked by excellent quality and features with unmistakable refined leather interior that added value and class to the Porsche Macan Get a complete and detailed history at no charge on this wonderfully maintained pre-owned vehicle. Rare is the vehicle that has been driven so gently and maintained so meticulously as this pre-owned beauty. Enjoy the comfort of knowing this Porsche Macan comes equipped with a manufacturer's warranty. When this vehicle was shipped from the factory, Porsche decided that no option should be left off of this magnificent automobile. So, if you're in the market for a Porsche Macan that is equipped with copious amounts of options, then we may just have the perfect vehicle to suit your needs. Drive any city's streets like you've lived there all your life using the navigation system on this Porsche Macan. The first thing anyone notices about your car is the paint job and this car's is near perfect. Princeton Porsche has a wide selection of exceptional pre-owned vehicles to choose from, including this 2018 Porsche Macan. Only the CARFAX Buyback Guarantee can offer you the comfort of knowing you made the right purchase. CARFAX shows that this is a one-owner vehicle -- no wonder it's in such great condition. With this exceptional SUV, you'll get sport, utility, and comfort. With amenities and luxuries befitting a modern day king, this splendorous coach reigns supreme. Savor the satisfaction of safety in any condition with this AWD Porsche Macan. Superior acceleration, unmatched traction and stability as well as a luxurious interior round out the impressive features of this AWD Porsche Macan. Added comfort with contemporary style is the leather interior to heighten the quality and craftsmanship for the Porsche Macan Feel at ease with your purchase of this Porsche Macan , all records are included allowing you to truly know what you're buying. The interior of this Porsche Macan has been through meticulous inspection and could almost pass for a brand new vehicle. There should be no doubt in your mind about purchasing this 2018 Macan . This lightly-used vehicle is still covered by the Porsche factory warranty. This Porsche Macan comes standard with features that are essential in the 21st Century. However, Porsche decided to take it one step further and add a handful of quintessential options that will undoubtedly add to this vehicle's quality and value. If, upon choosing the road less traveled you find yourself lost, relax and remember this beautiful car has navigation. The first thing anyone notices about your car is the paint job and this car's is near perfect. This 2018 Porsche Macan is offered to you for sale by Princeton Porsche. This 2018 Porsche Macan comes with a CARFAX Buyback Guarantee, which means you can buy with certainty. This is a well kept ONE-OWNER Porsche Macan with a full CARFAX history report. The Porsche Macan offers a fair amount of utility thanks to its advanced features and unique styling. It's also quite sporty, and injects an ample amount of handling chutzpah into the ridin'-high body of a family-friendly SUV. There's a level of quality and refinement in this Porsche Macan that you won't find in your average vehicle. Enjoy the grip and control of AWD performance in this nicely equipped Porsche Macan. Marked by excellent quality and features with unmistakable refined leather interior that added value and class to the Porsche Macan Know exactly what you're getting when you take home this Porsche Macan as past service records are included. If you are looking for a pre-owned vehicle that looks brand-new, look no further than this Silver Porsche Macan. This Porsche Macan is well-equipped, well-cared for and still covered under the manufacture's factory warranty. The Porsche Macan is in a class on its own. So much so, that Porsche didn't miss a beat when they loaded this vehicle with an abundance of a-la-carte options. The paint on this Porsche Macan is flawless; no scratches, no blemishes, no need to spend extra money on touch ups. Thank you for visiting another one of Princeton Porsche's online listings! Please continue for more information on this 2018 Porsche Macan with 6,272mi. When you purchase a vehicle with the CARFAX Buyback Guarantee, you're getting what you paid for. If you're going to purchase a pre-owned vehicle, why wouldn't you purchase one with CARFAX one-owner report. This Porsche Macan has a tough exterior complemented by a well-designed interior that offers all the comforts you crave. Opulent refinements married with exceptional engineering make this the kind of car you'll want to own for a lifetime. Enjoy the comfort and safety of this AWD Porsche Macan equipped with many standard features found on other vehicles as optional equipment. Intricately stitched leather and ergonomic design seats are among the details in which test drivers say that Porsche Macan is in a league of its own All records are included with the purchase of this well-maintained pre-owned vehicle. This wonderfully maintained Porsche Macan is in the top 10% of its class when it comes to cleanliness and condition. This Porsche Macan is well-equipped, well-cared for and still covered under the manufacture's factory warranty. This 2018 Porsche Macan is not like every other automobile. The Porsche was equipped with many of the added features that make this vehicle such a unique automobile to own and drive. This Porsche Macan has a flawless finish that complements its wonderful interior. 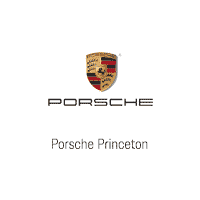 Thank you for visiting another one of Princeton Porsche's online listings! Please continue for more information on this 2018 Porsche Macan SPORT EDITION with 4,935mi. This 2018 Porsche Macan comes with a CARFAX Buyback Guarantee, which means you can buy with certainty. This is a well kept ONE-OWNER Porsche Macan SPORT EDITION with a full CARFAX history report. This Porsche Macan offers all the comforts of a well-optioned sedan with the utility you demand from an SUV. You deserve a vehicle designed for higher expectations. This Porsche Macan delivers with a luxurious, well-appointed interior and world-class engineering. Enjoy safety and stability with this all-wheel drive vehicle and drive with confidence in any condition. Intricately stitched leather and ergonomic design seats are among the details in which test drivers say that Porsche Macan is in a league of its own Feel at ease with your purchase of this Porsche Macan SPORT EDITION, all records are included allowing you to truly know what you're buying. If not for a few miles on the odometer you would be hard-pressed to know this 2018 Porsche Macan is a pre-owned vehicle. There should be no doubt in your mind about purchasing this 2018 Macan SPORT EDITION. This lightly-used vehicle is still covered by the Porsche factory warranty. This Porsche Macan SPORT EDITION comes standard with features that are essential in the 21st Century. However, Porsche decided to take it one step further and add a handful of quintessential options that will undoubtedly add to this vehicle's quality and value. When you see this car in person, you'll ask yourself When did WOW become a color of paint? This 2018 Porsche Macan SPORT EDITION is proudly offered by Princeton Porsche This vehicle is loaded with great features, plus it comes with the CARFAX BuyBack Guarantee. A test drive can only tell you so much. Get all the info when you purchase a vehicle like this with a CARFAX one-owner report. This SUV is a superb example of what a tough, work focused vehicle should be. Exceptional towing, acceleration and torque will help you get the job done. Opulent refinements married with exceptional engineering make this the kind of car you'll want to own for a lifetime. Enjoy the grip and control of AWD performance in this nicely equipped Porsche Macan. Marked by excellent quality and features with unmistakable refined leather interior that added value and class to the Porsche Macan With all records included, drive away confidently knowing the complete history of this Porsche Macan SPORT EDITION. This Porsche Macan is beautiful and the interior is clean with virtually no flaws. Drive away in this amazing Porsche Macan and enjoy the realization of having the manufacturer's factory warranty coverage still in effect. Class defining, one-of-a-kind options are the standard with this Porsche Macan plus much, much more. An outstanding paint finish rounds out the wonderful aspects of this car. Check out this gently-used 2018 Porsche Macan we recently got in. Only the CARFAX Buyback Guarantee can offer you the comfort of knowing you made the right purchase. Enjoy an extra level of calm when purchasing this Porsche Macan , it's a CARFAX One-Owner. The CARFAX report shows everything you need to know to confidently make your pre-owned purchase. This Porsche Macan is an incredibly versatile vehicle that is a must have for any family. Opulent refinements married with exceptional engineering make this the kind of car you'll want to own for a lifetime. This AWD-equipped vehicle handles well in any weather condition or terrain. You'll benefit from superb handling, improved steering and excellent acceleration. Marked by excellent quality and features with unmistakable refined leather interior that added value and class to the Porsche Macan With complete historical records, you'll know your next pre-owned vehicle, like this one, inside and out before you purchase it. Beautiful exterior. Clean interior. This Porsche Macan is so immaculate it is practically new. Unexpected repairs happen on all vehicles, but this Porsche Macan comes with the protection of the manufacturer's warranty. Why go with a basic vehicle when you can have it all in this well-optioned Porsche Macan? This vehicle's exterior has been babied. The paint is in excellent condition with nearly zero flaws or signs of age.